Overview: Winter is coming. Not only is this a line from a popular TV series/novel but it also speaks of my recent wine selections. There is nothing better than a hearty meal and a full bodied red as the temperature drops which is why I always find my hand closing around wines from the Rhône Valley at this time of year. The Rhône Valley is broken into Northern Rhône and Southern Rhône. Northern Rhône is known for Syrah (Shiraz) and Syrah Viognier blends and Southern Rhône known for blends of Grenache, Syrah, Mouvèdre, Carignan and Cinsault. Grenache, Syrah and Mouvèdre being the predominate varieties, Carignan and Cinsault are added in smaller quantities. Both regions grow white varieties but we’ll save that for another blog. 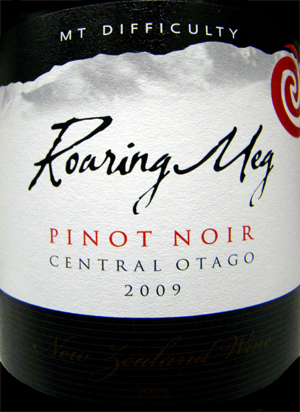 Tasting note: Aromas of raspberry, strawberry, violets and subtle pepper. This myriad of flavours joins the palate in balanced harmony with additional characters of blackberry and lifted spice. It’s velvety on the tongue and finishes with soft tannins. Final Say: For $20 a bottle this wine is a must try, especially in the winter months. While I find the lifted, up-front characters this wine displays in its youth it will benefit from 3-4 years cellaring. Almost clear in colour, citrus on the nose. A palate of citrus, orange blossom, green apple and a delicate acid. Toasty nose. Yeasty characters on the palate, soft citrus fruit. 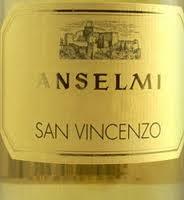 Older style, quite oaky with characters of butterscotch and peach. Nose and palate of plum and blackberry, softer tannins. Raspberry nose, red fruit on the palate. Nice tannin structure. Light sparkling style. Apple and pear characters with a nice bead. Yeasty, brioche nose and palate with subtle citrus backbone. Talc nose, nice herbacousness, nice fresh style. Touch of sweetness, grassy and pear flavours. Oaky nose, soft and complex. Quite Chablis like. Straw and citrus on the nose. A palate of straw, citrus, chalky minerality, fennel. A rich mouthfeel and lingering acid. Passionfruit nose, flinty with a steely minerality. Lovely coffe nose, muscat fruit and raisins. A nose of coffee, plum and tobacco. The plum carries on to the palate joined with characters of menthol, mint and grainy tannins. Finishes a touch bitter. Restrained nose, subtle stone fruit. Flavours of peach, soft citrus and minimal oak influence. Lacking some acid on the finish. Flinty nose with a touch of herbaceous characters. Sweet fruit on the palate, gooseberry and nice mineral tones. Lingering acid. Muscat grape nose (der) with spice and subtle raisin tones. Palate of spice, sultana, spice. Quite soft. A good young style muscat.